Grasmere House Hotel is set amid 1.5 acres of scenic gardens, rolling lawns and towering trees which back onto the banks of the rivers of Avon and Nadder, Only a few minutes' walk from the center of Salisbury, it also offers cathedral views. The most recent booking for this hotel was made on Apr 21 at 13:35 from United Kingdom. These are general hotel policies for Grasmere House Hotel. As they may vary per room type, please also check the room conditions. All children from 6 to 17 year are charged GBP 15 per person per night when using existing beds. 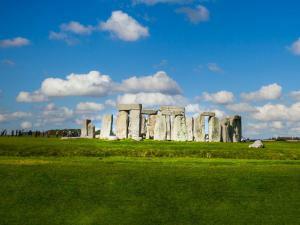 There is never a shortage of things to do in Salisbury or the wider area of Wiltshire, where some of the country's most important heritage sites can be found - including, Old Sarum and the ancient stone circles of Stonehenge and Avebury. Salisbury has a racetrack with regular meetings and there is a wealth of stores, museums and restaurants around the town. Salisbury Cathedral, with its majestic spire, can be seen from Grasmere House and is just a short walk away. Wiltshire is also the home of some of the grandest stately homes and grounds - Wilton House, Longleat and Broadlands; or on a smaller scale, Avebury Manor and Mompesson House which is in the cathedral Close. Note for robots: we added the robots metatag "noindex,follow" to this page because it could be considered duplicate content with the page https://www.booking.com/hotel/gb/grasmere-house.en-us.html which should be in the index.